in the sky like a constellation. inspired thusly they can’t go wrong. and reel you in with a love that’s strong. Jewels and Johnny Nation website. 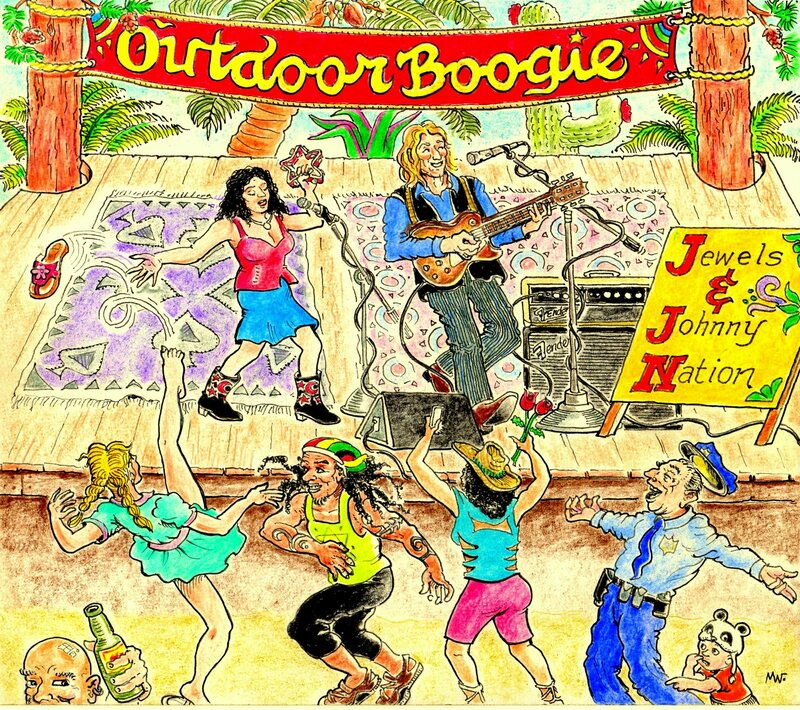 Johnny Nation’s lead guitar work for the seminal LA cowpunk band, THE JONESES gave him a solid background in the rootsy style later to be recognized as alt-country. THE JONESES inspired and heavily influenced bands like Poison and Guns & Roses and opened for Johnny Thunders, Lords of the New Church and Spinal Tap, culminating in a major label record deal and the release of their charting album “Keeping Up With The Joneses”. He also toured and recorded with punk princess Lydia Lunch, and has played at every legendary temple of rock from the Troubadour to the Whiskey to the Roxy. Jewels has been singing and dancing professionally since childhood. Originally from New York City, Jewels has acted on Broadway and attended The High School of Performing Arts and worked on the original film version of “FAME”. Later she appeared in film and on television (most notably in Sergio Leone’s classic “Once Upon A Time in America”) and studied improvisation at Second City in Chicago. Rondeau – Originating in France, a mainly octosyllabic poem consisting of between 10 and 15 lines and three stanzas. It has only two rhymes, with the opening words used twice as an unrhyming refrain at the end of the second and third stanzas. The 10-line version rhymes ABBAABc ABBAc (where the lower-case “c” stands for the refrain). The 15-line version often rhymes AABBA AABc AABBAc. Together with the ballade and the virelai it was considered one of the three formes fixes, and one of the verse forms in France most commonly set to music between the late 13th and the 15th centuries. Geoffrey Chaucer’s “Now welcome, summer” at the close of The Parlement of Fowls is an example of a 13-line rondeau. is certainly no hollow man. and his guitar licks are never lacking. spring’s again upon us, snow’s melting high above. Whose words are these? I just don’t know. but it was fate I was waiting by your front gate. She’s the leader of the choir, a teacher at the school. His grandpa hit the beach on D-Day, his father fought in Vietnam. trembling desperation in every word he spoke. The prisoner was in shackles and not the iron kind. Under My Hat available for purchase. 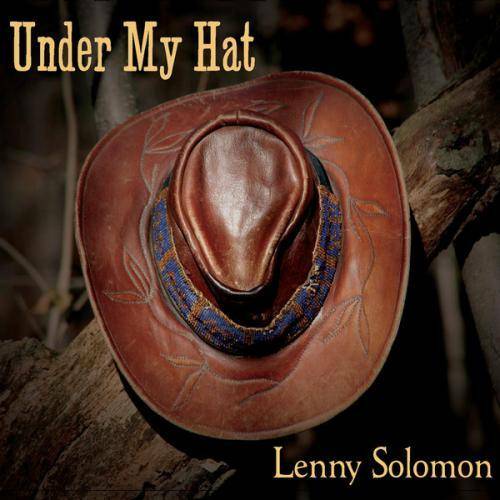 Bio: Lenny Solomon began his career in the late 1960s. A fixture at the now defunct Idler Coffeehouse in Harvard Square, Cambridge, he regularly performed there on Friday nights for over eight years. The Idler was a training ground for such music luminaries as Geoff Bartley, Paul Rishell, Spider John Koerner, and Ric Ocasek. During these years as a solo performer he shared bills with many name performers including Chris Smither, Carolyn Hester, Bonnie Raitt, and Spider John. For many years music lay in the background of his life. From the 1980s through the mid-1990s, Solomon continued to write songs, but rarely performed in public. He chose rather to raise his family and work in environmental research at Harvard University. From 1978 though 2009 he managed a research program that investigated ozone depletion in the stratosphere and more general climate change issues. 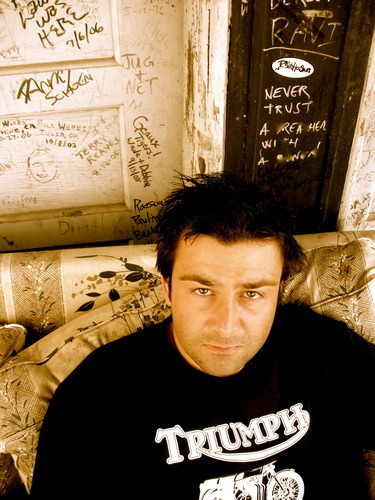 In 1997 Solomon got back into performing and formed a folk/country band appropriately enough called Solomon. Performing his original material, Solomon has released four CDs. Clerihew – A light verse quatrain of two couplets rhyming aabb, invented by Edmund Clerihew Bentley (1875-1956). The form parodies both the limerick and the eulogy. Cento – From the Latin word for “patchwork,” the cento (or collage poem) is a poetic form made up of lines from poems by other poets. 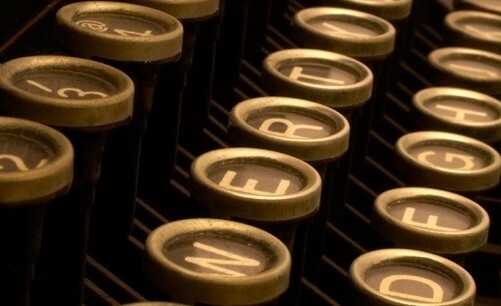 Though poets often borrow lines from other writers and mix them in with their own, a true cento is composed entirely of lines from other sources. Early examples can be found in the works of Homer and Virgil. The Farmacology Sessions release date: Oct. 14, 2014.
around a single mic and a bottle. riding that long line: the scar that joins us. 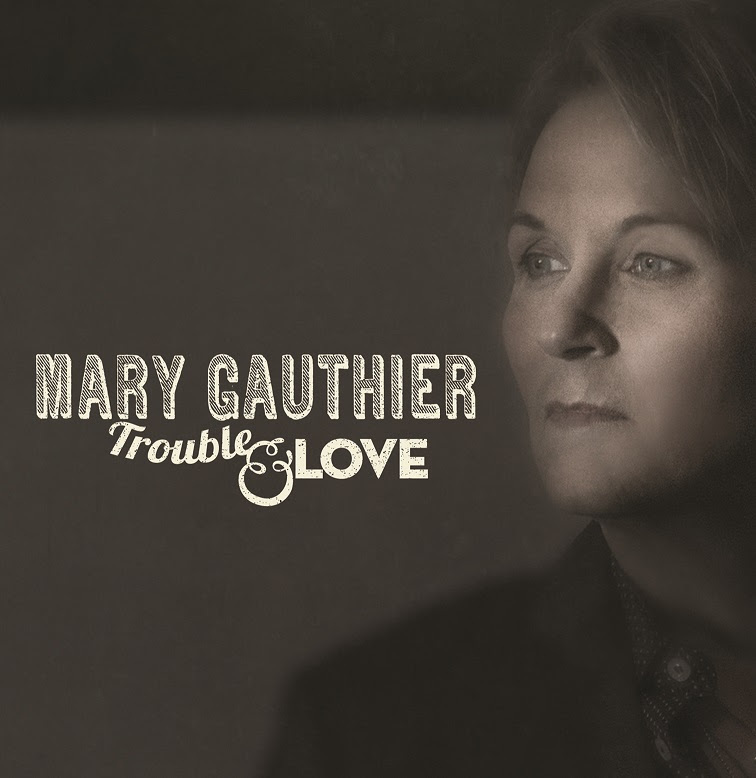 Atlantic, Ben Glover’s fourth album, will be released 1 September 2014 and features songs co-written with Mary Gauthier and Gretchen Peters. As Nashville is from Monrovia. So is Music City, but in a first-world white way. But aren’t we all the same? All brothers and sisters? Look deep into my eyes and yours — you’ll see. Whether white or black — a mother’s love is blind. On a beautiful coast — sometimes a mess, sometimes brilliant. The letters still come: Courage. Love. Son of mine they say. But only the beginning of everything. But she does not write this to the son. Following the siren songs of home. Listen. Nashville-based Down Home debuted in January 2013 in the lounge at 12th & Porter. 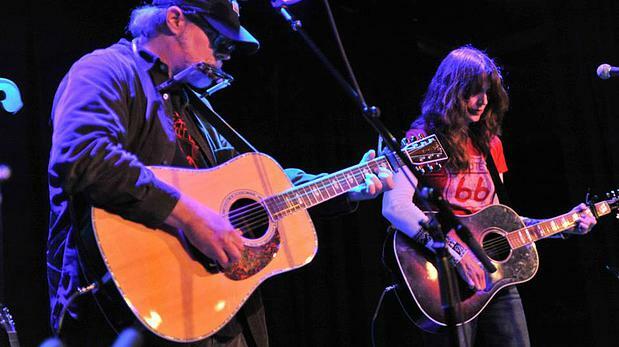 Down Home has built a following with shows at The Basement, Mercy Lounge and Bootlegger’s on Broadway, where they booked themselves under the pretense of being a bluegrass band. Down Home website where you can buy stuff. Boone-born of Blue Ridge near Doc, his hero. silver drops from above like spare change. the tradition he’s had since birth. the old ways keep the young man alive. for this, for everything, for Doc — he is in tune. Can you hear the voice? Andy Ferrell grew up in the small Blue Ridge Mountain town of Boone, North Carolina, not far from the birthplace and home of bluegrass/country/folk music legend Doc Watson. 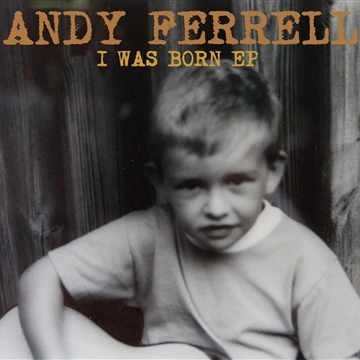 I Was Born is Ferrell’s debut EP.